Product based business is flourishing these days. It has become one of the most important businesses these days and the advent of digital technology has resulted in E-commerce and E-retail stores making a big story. Brick and mortar stores are also flourishing in the form of malls. The small local stationary shops that were once threatened by the developments, have innovated themselves and are now doing well. A threat to existence seems to be a strong motivation for innovation. Where does Photo Editing Services for Prduct Images figure in this scenario? Well, all these avenues of businesses are based on products and intensive advertising is one of the pillars of product based commerce. A manufacturer of a product has to give as wide a publicity as he can for his products so that a very large population becomes aware of it. The most cost effective means to do this is advertisement, a requirement of which is a very impressive high quality photograph of the product that can be used in all the various media. One of the prime requirements of product business is a good photograph of the product. A simple clicking of a product does not result in a photograph of the required quality. A good shot with a good digital one, however is the basis of one. However advanced may be the camera and skilled its user, further processing is inevitable to get a high quality photograph. Post photo editing involves a host of steps supported by powerful computer tools. The various steps are briefly described. Photographing a product has its own constraints. It is seldom done in a well-appointed studio. More often than not it would be in a room at the factory which may be put to other uses too. In order to enhance the appeal of the photograph it is removed from its background by clipping. There is powerful software to do this. The photograph is transferred to a computer clipping program and a clipping path is drawn around it. A clipping path is a closed vector path. There are two types one is called inclusive and by convention it is drawn in the anticlockwise direction. What it implies is that the image enclosed by the diagram will not be affected when the clipping is applied. Once the object is separated from its surroundings it can be dealt with exclusion. The image is retouched if any exposure adjustment to be done. The image then is to be placed on a suitable background which would enhance its appearance and reoriented in any required position. Changing the background involves another clipping operation; this would be the opposite of the earlier one. The background is selected and the final orientation of the object on the background is also fixed. This may need a few trials to get the best result. One can opt for a number of different backgrounds and orientations can also be selected. The clipping path for each of the orientation is drawn on the selected backgrounds. This time the clipping path is drawn on the background in the clockwise direction. The portion on the background will be removed when the clipping is applied. Finally the product is placed inside the cut out and the final prints made. The final outcome will certainly depend on the expertise, experience and creative talents. Without a doubt it will depend on the tools too. It is clear from the above that product based industry is heavily dependent on Photo Editing Services for their requirement of publicity materials, without which the industry will be hard pressed to prosper. The advent and rapid progress of digital industry has integrated it into many unimagined and varied fields. As in any professional activity the capacity to deliver exceptional quality products within tight delivery schedules is a prerequisite to success in Photo Editing Services too. 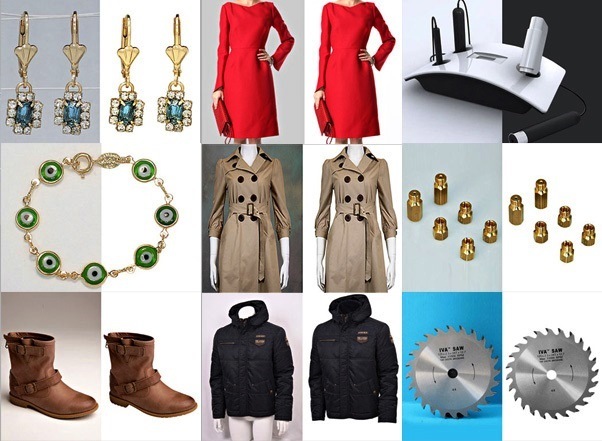 A professional service provider in this business is Photo Editing India. They house a state of art hard and software infrastructure to execute all the photo editing requirements of diverse users manned with technicians of exemplary quality. They are well positioned to deliver high quality photographs, be it real estate or products at economical costs.